Opal is a Nigerian-American strategist, writer and community organizer. She is a co-founder of #BlackLivesMatter, a historic political project and network launched to combat structural racism. Opal is credited with initiating the online platforms and social media strategy during the project’s inception. 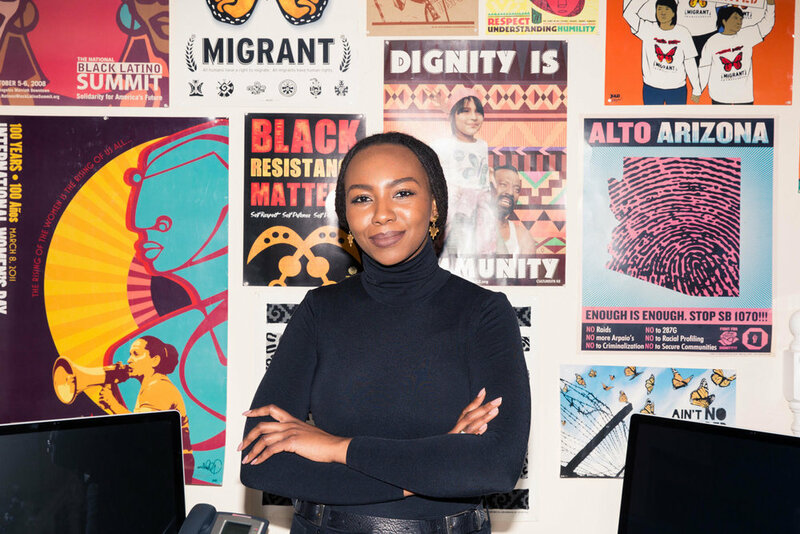 At age 28 she became the Executive Director of the Black Alliance for Just Immigration (BAJI) – the United States’ only national immigrant rights organization for Black people. There she has a track record of successful campaigns that have advanced migrant rights and racial justice. An international thought leader, Opal most notably, addressed the United Nations General Assembly. As a committed champion for justice globally, she is a member of the Pan African Network in Defense of Migrant Rights, Women in Migration Network (WIMN) and is a board member of the new Atlantic Fellowship for Racial Equity (AFRE) an initiative working with seasoned activists in South Africa and the United States.